Members of the Northside Volunteer Fire Department’s board of directors received five qualified bids for construction of a new Station 1. 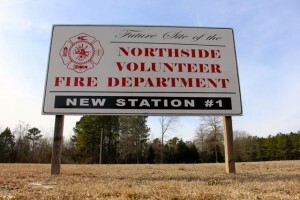 Efforts to build a new Station 1 for the Northside Fire Department, located at the intersection of Bear Branch Road and Northside Drive, has hit another stumbling block. Second, the fire board’s preference likely won’t garner the approval of the Richmond County Board of Commissioners, which is required before the contract can be awarded. 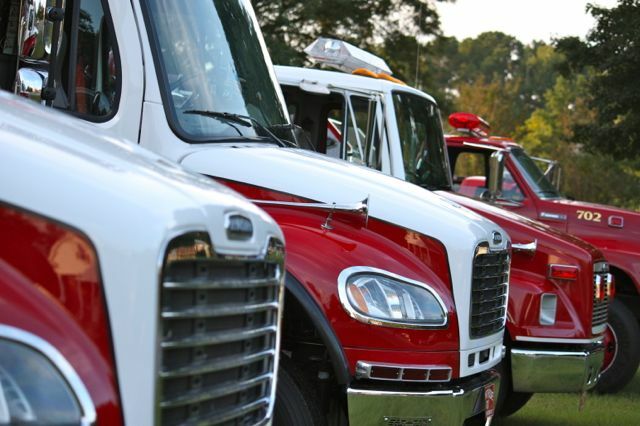 But several documents, including emails between the fire department and County Manager Rick Sago, indicate the department has tried to move forward with awarding the contract. The fire board has taken at least one vote — a 4-1 tally — to award the contract to DR Reynolds, according to an email sent to Sago last month from Gene Shaw, a member of the fire department’s building committee. DR Reynolds, Shaw wrote, offered the “only turn key bid.” No further explanation was offered. The proposal submitted by DR Reynolds included dozens of “extras” and upgrades not asked for on the generally vague request for proposal. Under North Carolina General Statute 143-129, state law allows the contracting authority to negotiate with the low bidder. Myrick Construction, the low bidder by $20,078 — and $251,185 lower than DR Reynolds — resubmitted its bid to match every extra and upgrade offered. Added items included a 5-inch concrete floor in the business area, solid core oak veneer doors, porcelain tile in the kitchen and heavy duty asphalt in all areas, not just the routine paths of heavy equipment but of all vehicle traffic including the parking area. The building is to be paid for by revenue generated from the commissioner-approved special tax district. 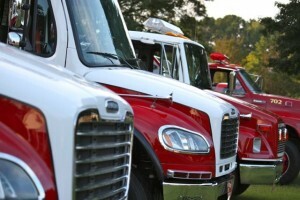 Northside Fire Department covers the largest territory in Richmond County. Sago asked Myrick to modify their bid to match DR Reynolds’ in every facet. The result? Myrick’s price increased by $63,575 to $948,575 — still $187,610 less than DR Reynolds. In comparison, the new public safety building along U.S. Route 1 in the town of Pinebluff that houses the city’s police and fire departments was completed in January at a cost of $1,565,000 for 13,500-square foot building — or $115.92 per square foot. It’s a shell of a warehouse; the planned Northside Volunteer Fire Department, at 7,900 square feet, is to have an all-brick veneer on all four sides of the building. Sago said it’s possible to award a contract to a company other than the low bidder in rare circumstances, including: if the company has had legal issues revolving around previous projects, its bond was pulled or if it was non responsive in its bid — meaning it didn’t meet the requirements of the original RFP. That’s not the case with Myrick, Sago said. The company has a stellar reputation and right now is working on other projects in Richmond County. Chavis said there was no internally established timeline for the Northside Fire Department’s board of directors to make a decision on what to do next. Attempts to reach other board members for comment were not immediately successful. Without a line by line comparison of the bids, it’s somewhat disingenuous to compare the costs of the bids. As the article points out, the low bid didn’t spec the entire parking lot for the weight of fire apparatus.. only expected paths of travel apparently. Smells like ‘Value Engineering’ to me. Who pays when, a few years down the road, the parking lot is crumbling because the apparatus was driven outside of the ‘safe’ areas? I’ve been involved in the aftermath of ‘low bid’ ‘value engineered’ projects. One of the more recent ones involved a project cost of over $50 million. Two years later, we’re still finding significant problems.. many related to that value engineering. Final costs are well in excess of what some of the other bids were. Let’s not be penny wise and pound foolish. First, tighten up the Request for Quote spec. Secondly, compare the bids honestly. I’m not saying which, if any, bid should be accepted. But let’s be smart about this. This building is hopefully going to be around for a long, long time. How does the cost difference between bids translate into tax per $100 of value on the tax bill? It’s absolutely not disingenuous to compare the bids and estimated costs – but I agree there’s more information to be had (I’m working on it). There was a minimum RFP put out there for all to respond; the bids were submitted on that premise. DR Reynolds chose to go “above and beyond” what the RFP requested. I’m not saying this is or is not a case of value engineering at this point; to assume it is, I would think, would be unwise. As for the depth of the asphalt, I’ve been told by those in the engineering industry that it’s common (though not exclusive) that the asphalt is one-part ready for heavy equipment (fire trucks) and one-part ready for normal vehicle traffic (such as the parking lot area. I’d like an answer to this: Why pay for heavy duty asphalt in all areas? Does that do anything other than drive up the cost? The county requested/directed (more than once) the Northside VFD get a design approved, then put the project out to bid based on that design. To date – well over a year – Northside VFD has declined to adhere that guidance. Well, to compare the bids you’d actually have to, you know, have them. I don’t suppose they are available for review by the public? If anything, is it possible to learn the square footage of the Myrick and DR Reynolds bids? I would respectfully submit that the project budget as listed in the Feb 2015 article was $1.5 million.. are we penalizing DR Reynolds for going ‘above and beyond’ and still remaining under budget? Wouldn’t we file that under ‘best value for the money’? Why were the other bids by the other companies not even considered? I think it’s obvious the quality level of the Myrick and DR Reynolds were different.. the request for Myrick to modify their bid to match DR Reynolds is evidence of that. What is the cost difference in how the parking lot is constructed, all heavy duty vs. heavy and normal? What are the possibilities that the fire engines will be driving in the ‘normal’ areas? I would defer to ‘best practices’ in the situation.. to flip your question; can we lower our bid by only paving ‘heavy’ in the expected areas the trucks will normally drive in? Will the ‘normal’ pavement last long enough to get out of the warranty period before they start to crumble under the weight of wayward fire engines? I concur; the best way to handle this would be to get an approved design for everyone to bid against. Would it be kosher for Northside to use the DR Reynolds design for a guideline? When the low-bidder, Myrick, met all the extras of the DR Reynolds bid, Myrick was still the lower of the two by $187,610. Why, then, the continued insistence by Northside Volunteer Fire Department to go with a higher bidder? I am working on a follow-up to this story and if you’re interested in weighing in, please consider calling me at 910-331-4130. There is no reason to take a higher bid that will go to another company that is not a local business here with Hawks construction is about the middle bidder which is the best way to go and help the economy here and keep our county business’s in business here or just let them keep closing their doors as a lot have here lately.Broad Street from 220 towards Hamlet looks deserted with all the empty buildings we have here. Now Webb Auto Dealer ship is closing up like Whitley’s did We are a ghost town and our leaders have no clue what direction to go except wasting tax dollars on no good projects that’s not helping the economy here and it looks like Mexico here more every day .Thank god 2016 is almost here so hopefully we can get some leaders in here that want a better life for our City and county with a different direction to take this City and County with a vision that makes since to put our Money they are wasting back to good instead of throwing it away like they do now . We have better people here in this county that are right for these Political Seats in the City Council and County Commissioners . So if you are tired of the way they are running our county in the ground ,go register to vote next year and we will make a difference that most older folks here have never done and it is a wonderful feeling after you cast that vote even if your candidate does not make, it but it shows these no gooder’s in office change or they will be voted out .